Start your morning at Toyosu Fish Market. This is the new fish market transferred from the old Tsukiji Market. The food stalls and restaurants open as early as 4AM. The best time to be there is around 5AM. You can proceed to the mezzanine floor of the market where you can view the fish auction from a glass panel. Proceed to the rooftop garden for a spectacular sunrise view. Take a 10-minute train ride to Odaiba. At about 11AM, it is the perfect time for bath at Oedo Onsen Monogatari to freshen up yourself since you'll be awake early in the morning. You can have your lunch at the onsen. The ramen and gyoza are amazing. From Oedo Onsen Monogatari, you can walk to the Museum of Emerging Science, which is about 5 to 10 minutes away. Towards the evening, walk to Diver City for sunset view at the Terrace of Goddess. Recommended restaurant to chill is the Eggs 'N Things inside the Diver City mall. Take the patio seat, and you'll be able to enjoy the view of the Rainbow Bridge at night. 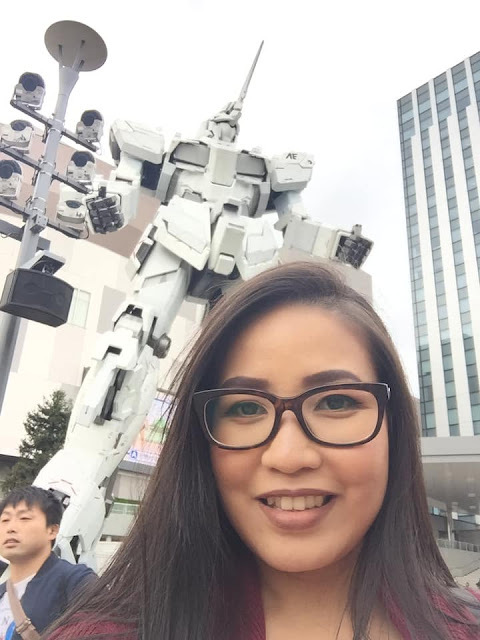 Diver City has plenty of photos spots and the most popular one is the life-size Gundam statue. I'm not sure if I would recommend the Tsukiji Market. It is still a nice place for food. The first Sushi Zanmai Restaurant is worth a try. Otherwise, all the street food stalls is a huge buffet for those who are into small nibbles and bites. Not cheap, though. 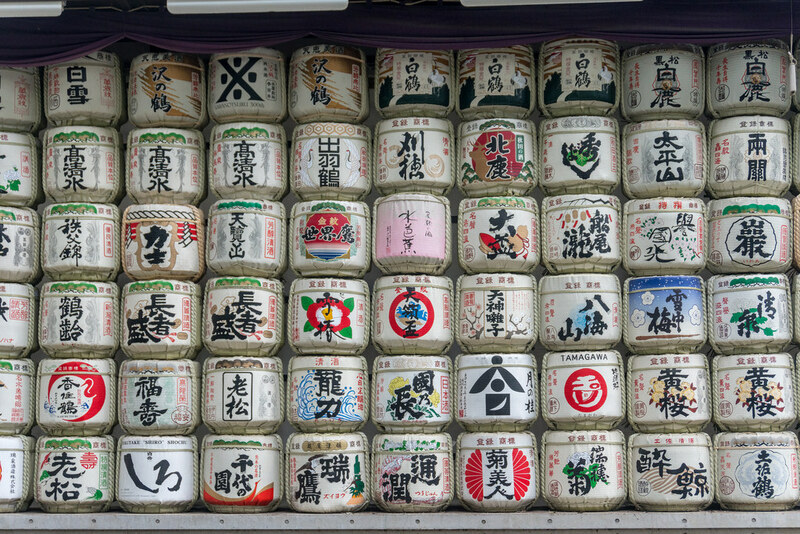 An alternative to Tsukiji Market, in case you want to skip that, you could go to Hie Shrine. 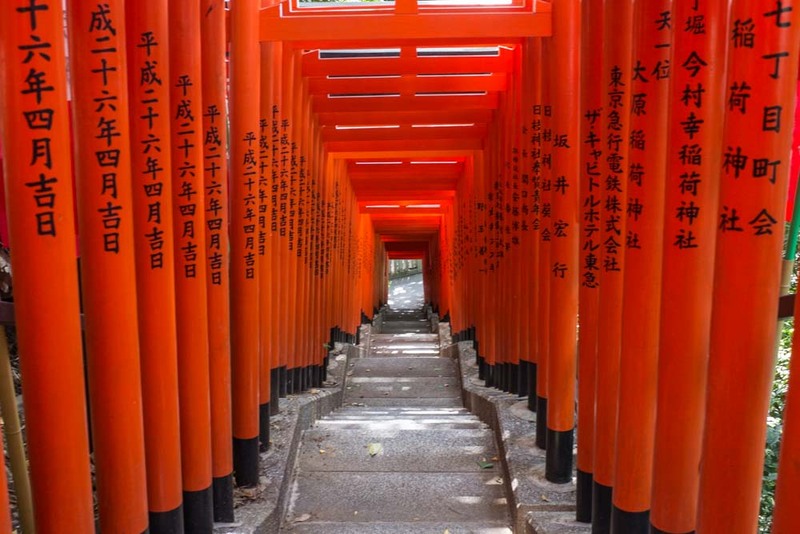 The shrine has a torri gate walkway, which is a more humble and small-scaled torii gate compared to the one in Kyoto. The shrine is not a popular tourist spot, so you'll have the leisure to walk around for photos. It will make a really good Instagram piece. One of my favourite place to go to is Ginza. If you love shopping, this is a haven. 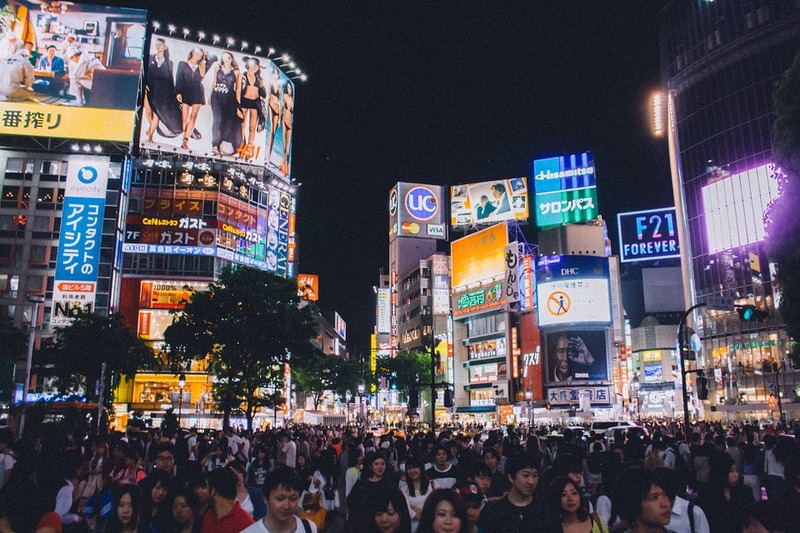 Contrary to popular belief, Ginza is NOT for the rich only. For example, there's Uniqlo, GU (similar clothing styles as Uniqlo), Don Quijote Ginza, and other small artisan shops that are affordable. On the weekend, the main street of Ginza will be closed for pedestrian only. Don't forget to also visit the Nissan Crossing at the main junction of Ginza street. If time permits, do visit the luxury brands cafe such as House of Dior, Le Jardin De Tweed (Chanel), Laduree, etc. 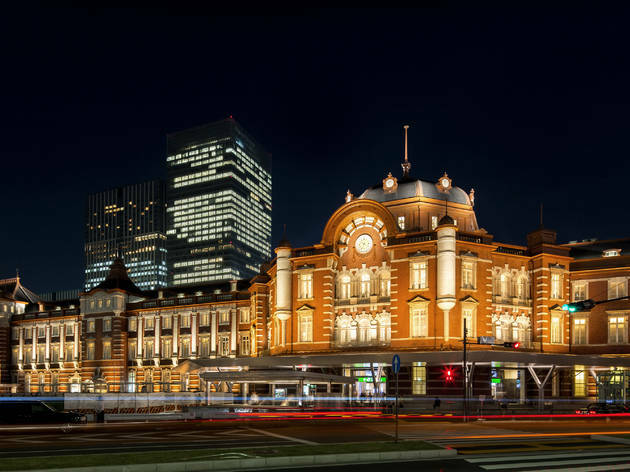 End your night at the Tokyo Station. The exterior of the station is extremely beautiful. You can also have your dinner at the station. There are almost a few dozens of scrumptious ramen restaurant there. I could spend hours at the Traveler's Factory Tokyo Station shop. It's just a small space but there are so many things to explore. Start your day at the Asakusa Sensoji Temple, you could grab your breakfast from some ancient restaurants around the Temple. For an aerial view of the temple, go to the Asakusa Cultural Center right across the street. 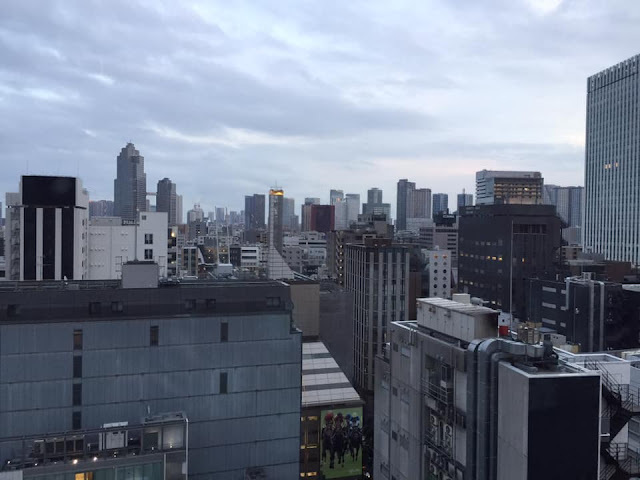 At the top level, you can have the view of Asahi Tower, Tokyo Skytree and also the Sensoji Temple. 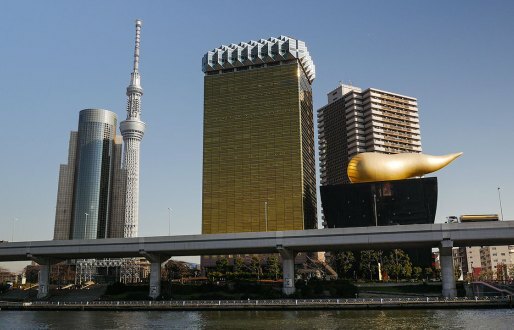 The Asahi Beer Tower (the building with a golden sperm-liked sculpture) is just a stone-throw away from the Sensoji Temple. You can walk there. In the vicinity, there's Sumida Park, a popular spot for sakura viewing. If you're there in spring, do go to Sumida Park, otherwise, you can also take a Tokyo Cruise from the pier. This area is really beautiful for photo spot, especially taken from the bridge, you can see the Asahi Beer Tower and Skytree in the background. Around 4PM, it's the best time to visit Tokyo Skytree. The sunset from the Tokyo Skytree Tower is amazing. The restaurant at Skytree also worth a visit. Akihabara has an entirely different vibe compared to other Tokyo cities. It is totally normal to see youngsters dressing in anime costumes or people carrying a large sword in the subway. Go to the Kanda Sakumacho street for dinner. There is a row of ramen shops, barbecue stalls, mini bar and sushi stalls here. The restaurants operate till late night and this place is frequent by office workers for late night supper. You can also walk to the Yodobashi Camera to shop for electronic goods or souvenirs. Harajuku is usually packed with shoppers, it is best to visit the place early in the morning. If you're a middle-aged, there's nothing excites you here, it caters mainly for younger crowds. Just have your breakfast, walk through the city and off to the next spot. You can't miss the Meiji Jingu temple. The temple is extremely Instagramable, and if you are lucky, you might witness a traditional wedding ceremony there. The temple is pretty quiet during normal days, you'll enjoy a pleasant walk under the foliage. 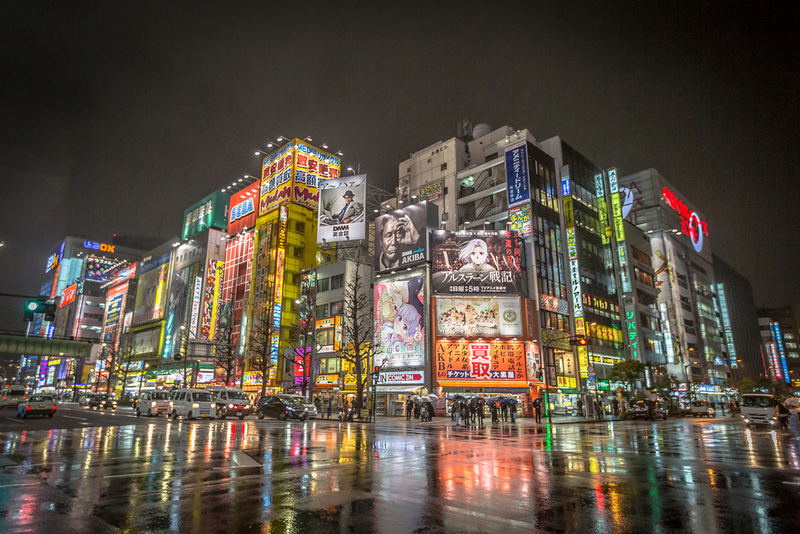 Shibuya is best to visit during the evening. This part of Tokyo never sleeps. Most shops open 24 hours here and you can also find some karaoke, bars and clubs that open till late. Although night life is not my cup of tea, I do enjoy my shopping experience at Mega Donquijote in midnight. Of course, you can't miss out the massive Shibuya crossing and also Hachiko statue. Both of the landmark are located next to each other. I think 4 days isn't enough for Tokyo, but for a general visit, the list pretty covers most of the MUST-DO in Tokyo. There are a lot more places that I would like to include in, such as the Kabuki & Sumo Wrestling Show, but I'll leave it till my next visit to Tokyo again. For my next visit, I would focus on areas such as Ikebukuro, Shinjuku, Omotesando, and Nakameguro. Download the printable reference [here].